Casual prepared seafood option Spinfish Poke House has suddenly shuttered all of its greater Los Angeles locations, even unceremoniously pulling down its Instagram page and website overnight. Yelp now lists the company’s multiple locations as fully closed. 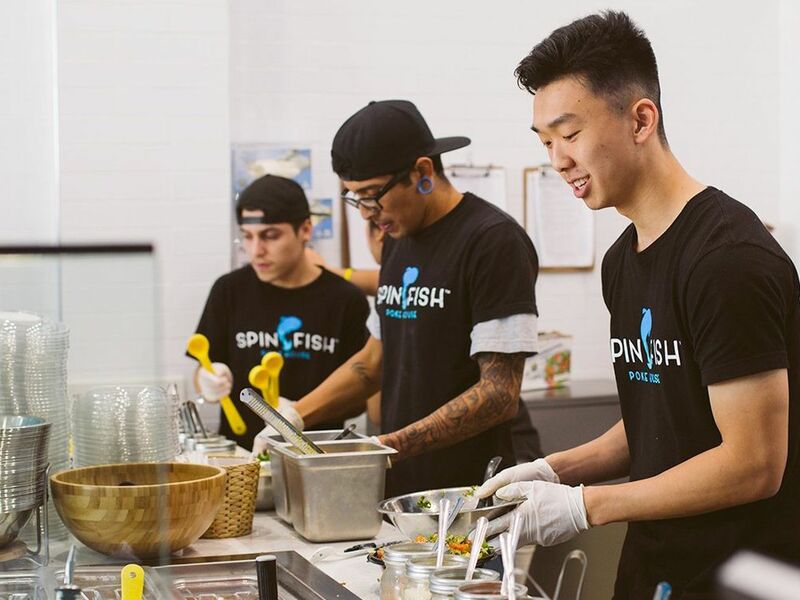 Spinfish Poke House was one of the big early names to come out of the poke boom from just a couple of years back, earning praise in the Los Angeles Times as one of the hottest and busiest shops of the bunch. The company quickly expanded from its original Pasadena alleyway home to locations in Downtown, La Canada Flintridge, and Santa Monica, and more recently even jumped to Jakarta, Indonesia. Now all that remains is the international location, with little sign of anything else left behind. Despite the early flurry of poke options that populated just about ever block of greater LA, the seafood boom has largely since died way back down. A few big players remain, including Sweetfin and Mainland, but individual local options are much fewer and farther between. This also isn’t the first time that a well-known Los Angeles company has up and split in the middle of the night following the crash of a trend, as less than a year ago the company Juice Served Here abandoned its business model overnight, leaving goodbye letters on each of its locations simultaneously.